Westbury Manor Farm was bought by Mr and Mrs Cobden snr in 1973 and the family have lived there ever since. The Stables are owned by their eldest son Simon and his wife Victoria - they were converted from stables to a luxury holiday cottage in 2012. It is lovely to live on a farm in a rural setting but also have all the amenities you could possibly need just a few miles away. Good sized Bathroom with bath, separate Shower, WC, basin and heated towel rail and plenty of warm fluffy towels. Living room with leather three piece suite, large flat screen TV, blue ray player. Dining Area with table and chairs with duck egg blue Welsh dresser which holds all the china and cutlery you will need. cooker, fridge/freezer, dishwasher, washing machine, microwave, kettle, toaster, coffee machine. Petersfield Golf Course 8 miles away. Corhampton Golf Club 5 miles away. Alresford Golf Course 10 miles away. We had a lovely stay in West Meon with Victoria. A peaceful place in restored stables. Lots of space for the family with good kitchen facilities. Such a nice surprise to see a welcome hamper, which also led us to make further purchases from the local butcher. Thank you for making us so welcome. Very peaceful with nice countryside around! Lovely friendly owner, extra home baked treats on arrival were very much appreciated after a long journey. Very clean property and a pleasant stay. Beautiful peaceful location and cottage really well equipped. Hosts were lovely. Beautiful Cottage in the heart of the country! What an amazing little treasure of a place. From the warm welcome from Victoria and her family; with the welcome cakes and being shown around the farm meeting the new lambs and calves, to the very comfortable stay in the cottage itself. A perfect place for us as a family to relax and attend a local wedding. The cottage is very spacious with everything you need and in a great location for walks and a small walk to the lovely local pub The Thomas Lord. A Wonderful place that I would highly recommend. We (2 adults, 1 5 year old) stayed here for 5 days and thoroughly enjoyed our stay. Victoria was really helpful throughout the booking and checking in / checking out process. The cottage is a converted barn in a working farm (which makes it quite nice for children as they can see the farm animals). When we arrived (quite late) we had a lovely food "hamper" waiting for us, which was a nice surprise. The cottage is clean and has everything you need. It's also very warm (which was great after a day out walking in the rain!). There plenty of nature reserves to go walking - would definitely recommend Old Winchester Hill and West Meon Valley Trail. There's a Waitrose in Petersfield if you want to get groceries and plenty of pubs within few minutes driving. Approximately 30-40 minutes drive from Portsmouth Ferryport. Approximately 30-40 minutes drive from Southampton Airport. Approximately 60-70 minutes drive from Heathrow Airport. 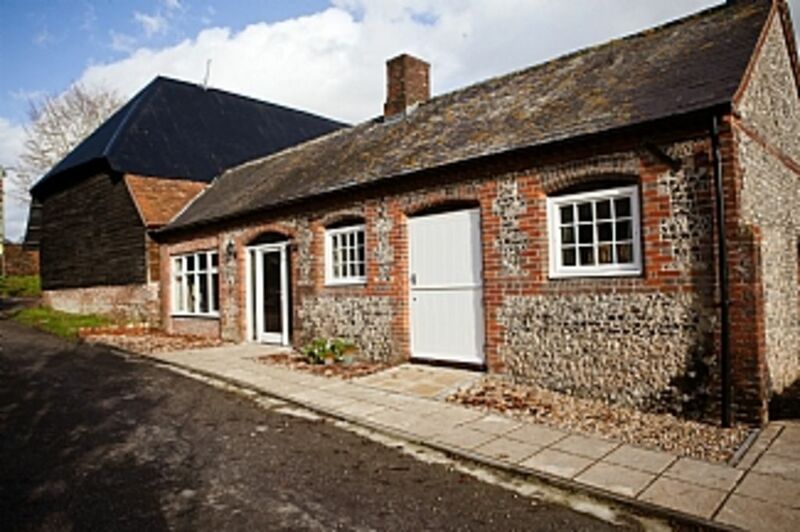 Approximately 75-90 minutes drive from Gatwick Airport. West Meon Village has a Village Shop, a delightful Cafe, an Award Winning Butchers and a lovely pub The Thomas Lord - offering both lunchtime and evening meals and a garage with Budgens Store attached. Further afield Petersfield has many pubs, coffee shops, a Waitrose, Marks and Spencers Food and a Tesco. Also all major high street banks.